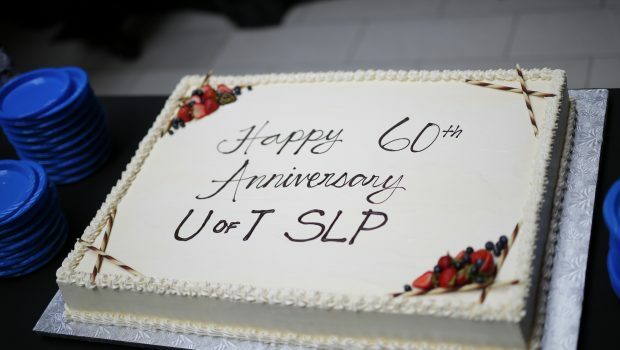 On June 1, 2018, the University of Toronto’s Department of Speech-Language Pathology celebrated 60 years of leadership in research and education in the field of speech-language pathology. The event was attended by clinical colleagues, collaborative partners, faculty, alumni and current graduate students of the department’s Master of Health Science clinical program. The keynote address was delivered by Dr. Robert Bell, the Ontario Deputy Minister of Health and Long Term Care. Dr. Bell talked about the healthcare system including accessibility, impact of relationships and the importance of S-LPs. The talk sparked a stimulating Q&A session where attendees identified clinical areas requiring further provincial funding and support. It was a unique opportunity to engage in direct dialogue with a government official and to communicate on behalf of clients who often cannot speak for themselves. We also heard from esteemed clinical researchers (Aura Kagan, Jana Leggett, Rosemary Martino and Elaine Weitzman) who discussed how their research has affected clinical practice. The topics of these talks ranged from aphasia, literacy, dysphagia to the Hanen Centre’s partnership with the University of Toronto. 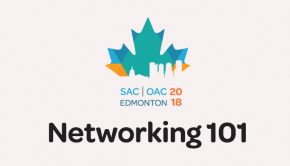 It was a wonderful showcase of the leadership and dedication that permeates our community partners across many subfields in speech-language pathology. It was a true honour to welcome back a group of alumni from the Speech-Language Pathology Class of 1968 who are celebrating the 50th anniversary of their graduation from the University of Toronto. Current clinical students were inspired by their persisting dedication to the field, their words of wisdom and the affection that they continue to hold for our program. The bar has been raised for the M.H.Sc. Class of 2018 to celebrate its 50 year reunion at the Department’s 100th year anniversary celebration! The afternoon began with a captivating panel facilitated by Sean Peacocke from Holland Bloorview Kids Rehabilitation Hospital. The theme of the session was: “Developing a vision for the S-LP research-clinical collaboration.” The discussion was led by panelists Pascal van Lieshout, Catriona Steele, Paula Laiman, Christiane Kyte and Sharon Gabison. Panelists described the avenues for clinicians to get involved with research across a wide variety of work environments, including hospitals, school boards, conferences, academic laboratories and through community partnerships. Many clinicians addressed the need for a cultural shift in our profession, where research is incorporated into S-LP work expectations, providing clinicians with protected time to dedicate toward scientific inquiry. Panelists also highlighted the importance of involving families at all stages of the research process. Through partnerships of this nature, clinicians can uniquely position themselves in a role that facilitates practical research findings with an emphasis on knowledge translation. The day concluded with our very own S-LP Oscars, a choir concert and a reception. The Oscars themed ceremony showcased the talents of the Classes of 2016, 2017, 2018 and 2019. 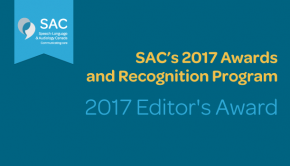 In their first year, these four cohorts produced original videos about their experience in the program and the profession of S-LP, which were debuted at an Awards Ceremony each fall. Oscars were given out for the Best Original Song, Best Choreography, Best Cinematography and Best Original Screenplay. The current students continued to show their musical talents through a choir concert introduced by famous vocal performer and S-LP Melanie Tapson. The beautiful performance highlighted the relationship between communication and mental health and showcased the wonders of the human voice. Coupled with the insightful food for thought introduced by Tapson, the audience was left inspired by the role of our profession working with performers. The tagline for the evening event was “Real Impact: Strengthening S-LP Community Through Collaboration.” It is a rare event to have leaders in advocacy, research, clinical work and clinical education all sharing their unique insights and expertise with each other in an action packed day. With the silos taken down, a picture was painted in the minds of all attendees of the landscape and future of our profession. Overall, we are very grateful for the education and training we have received from clinical educators, lecturers, professors and guest speakers at the U of T. This event has really made it clear how unique of an opportunity we have to receive our training in a building where the research driving our profession is being done just a few floors below our classrooms and the innovative facilities that put that research into practice are just a few doors down. With all of that said, we can hardly wait to advocate and provide evidence-based care when we graduate in the near future. 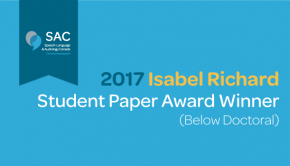 Shanie Rampersaud, Luxsiha Sribaskaran, Richard Holmes and Allie Annibale are students in the M.H.Sc. Speech-Language Pathology program at the University of Toronto. Demonstrating their enthusiasm for their field, Shanie and Allie co-founded and executed the first Ontario graduate student speech-language pathology and audiology conference: Theory to Therapy in May of 2018. These students are all passionate advocates for their profession and individuals with communication and/or swallowing difficulties. They hope to make significant impacts in their field as successful clinicians in the near future.